An influential and prolific Swedish heavy metal group, In Flames helped to establish the modern melodic death metal scene and ensuing metalcore scenes of the early aughts. 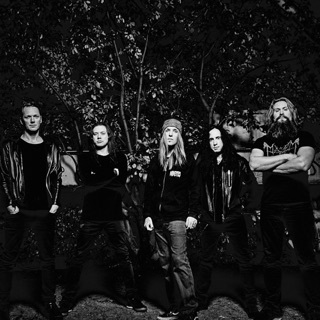 With neo-classical guitar solos and innovative song arrangements, the group progressed from underground death metal to metal music innovator alongside contemporaries like Dark Tranquillity and At the Gates. Emerging in the mid-'90s, the band hit their stride in 2002 with the release of their more alternative metal-leaning sixth studio effort, Reroute to Remain. Subsequent offerings such as A Sense of Purpose (2008), Siren Charms (2014), and I, The Mask (2019) continued to finetune the formula, drawing both commercial and critical acclaim, and earning the band multiple Swedish Grammy Awards. 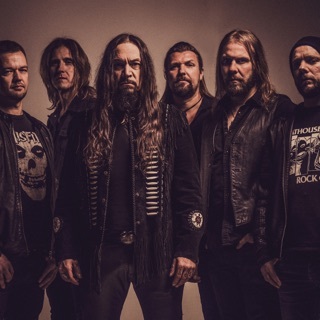 After leaving Ceremonial Oath to form In Flames, founding member and guitarist Jesper Strömblad saw this project as a way of expressing his songwriting creativity rather than being stuck in the background. With the added influences of Iron Maiden and Black Sabbath, along with his own touch of aggressive metal that overwhelmed his home country of Sweden, Wrong Again Records took notice and released In Flames' 1993 debut, Lunar Strain. In the tradition of many other Swedish metal acts, In Flames also had a revolving lineup that changed year after year -- not that this was going to stop them from releasing their next album, Subterranean (1994), before signing to Nuclear Blast Records in 1996. After putting out The Jester Race album later that year, followed by 1997's Whoracle, In Flames' lineup was finally settled with Björn Gelotte (drums), Anders Fridén (vocals), Peter Iwers (bass), and Daniel Svensson (drums) in addition to Strömblad. To celebrate, the band released its sixth album, Colony, in 1999. Clayman followed in the same vein the next year, and the band even managed to keep the same lineup for the release. The live Tokyo Showdown was released to promote their tour in 2001. The punishing but decidedly more streamlined Reroute to Remain arrived in 2002, and helped to popularize the group in the United States. 2004's Soundtrack to Your Escape and 2006's Come Clarity topped the charts both at home and abroad, with the latter LP taking home a Swedish Grammy Award. In 2008, the band released its ninth studio album, A Sense of Purpose, which featured the single "Mirror's Truth," and debuted at number on the Swedish albums chart. 2011's Sounds of a Playground Fading was the first release not to include founding guitarist Strömblad, who'd left the band the previous year.